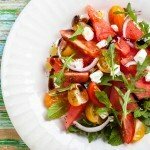 » Watermelon Salad Watermelon Salad | Gluten Free Daily | Weight loss. Wellness. Fitness. Chop watermelon and heirloom tomatoes into small wedges. Chop onions. Place half the greens scattered on a plate. 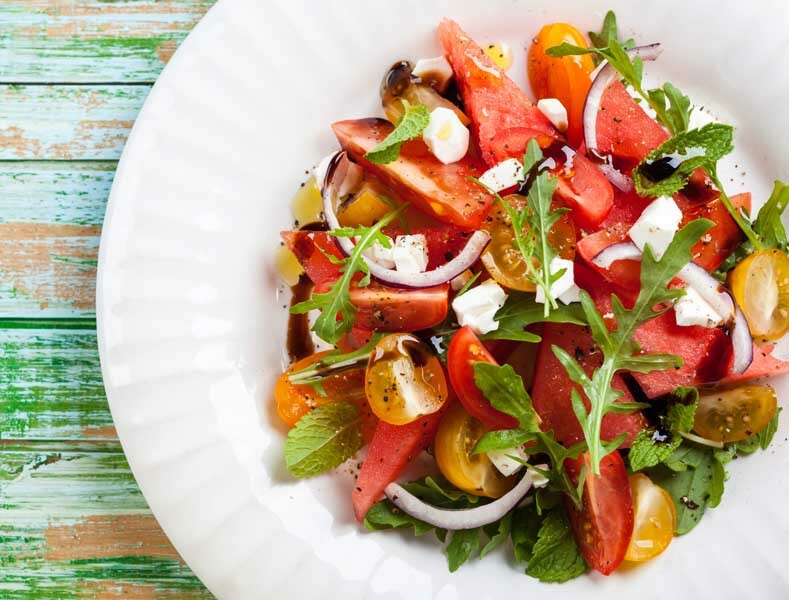 Arrange watermelon and heirloom wedges on top of the greens alternating each piece. Top with olive oil, balsamic, onions, mint, more greens, goat cheese, salt and pepper.